WEST LAFAYETTE, Ind.  Choosing a diet soft drink over a regular, sugar-packed beverage may not be the best way to fight obesity, according to new research from Purdue University. But the researchers said this doesn't mean you should grab a regularly sweetened soft drink instead. 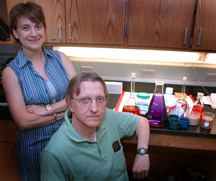 Professor Terry Davidson and associate professor Susan Swithers, both in the Department of Psychological Sciences, found that artificial sweeteners may disrupt the body's natural ability to "count" calories based on foods' sweetness. This finding may explain why increasing numbers of people in the United States lack the natural ability to regulate food intake and body weight. The researchers also found that thick liquids aren't as satisfying  calorie for calorie  as are more solid foods. 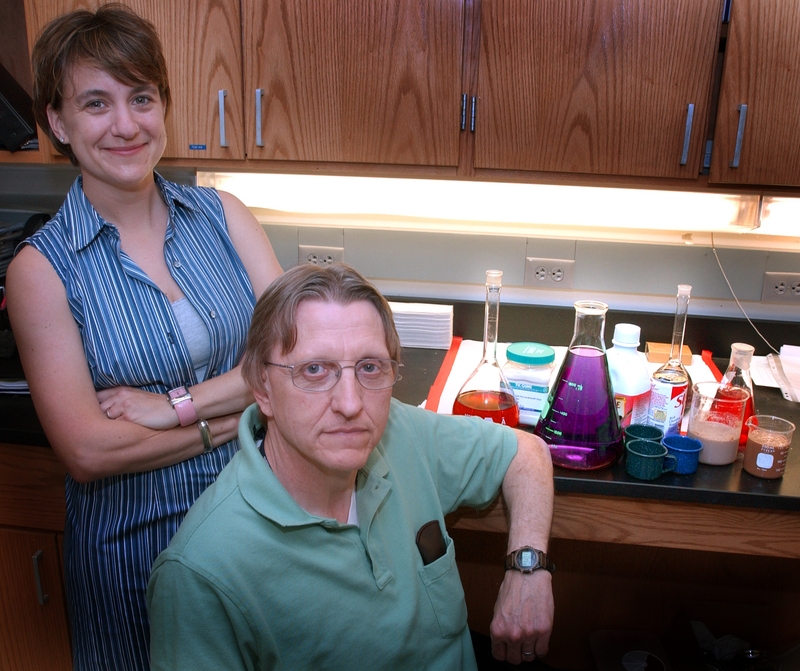 The Purdue's researchers' study, "A Pavlovian Approach to the Problem of Obesity," appears in the July issue of International Journal of Obesity. Davidson and Swithers, members of the Ingestive Behavior Research Center at Purdue, suggest that being able to automatically match caloric intake with caloric need depends on the body's ability to learn that the taste and feel of food by the mouth suggests the appropriate caloric intake. Much as Pavlov's dogs learned that the sound of a bell signaled food, people learn that both sweet tastes and dense, viscous foods signal high calories. This learning process begins very early in life and perhaps without conscious awareness, according to the researchers. The researchers based their hypothesis on Pavlovian theory. Ivan Pavlov, known for his work in the early 20th century, is famous for his experiment in training dogs to associate food with the ringing of a bell. After being conditioned to the bell, the dogs salivated when they heard it  even when they did not see or smell food. Davidson and Swithers propose that rats learn a similar relationship between the taste or texture of a food and the calories it contains and may use this information to control food intake and body weight. In the second study, two groups of rats were given a high-calorie dietary supplement along with their regular food every day for 30 days. Although the supplements were identical in calories and nutritive content, they differed in viscosity. For one group the supplement had the consistency of thick chocolate pudding, whereas for the other group, the supplement was similar to chocolate milk. Davidson and Swithers found that over the course of the study, the rats given the milk-like supplement gained significantly more weight than the rats given the more viscous, pudding-like supplement. Note to Journalists: B-roll footage of Susan Swithers in her lab is available by contacting Amy Patterson-Neubert, (765) 494-9723, apatterson@purdue.edu. During the past 15-20 years the incidence of overweight and obesity in the United States has grown rapidly. The processes that underlie this alarming trend remain largely unspecified. We hypothesize that degradation of the ability to use certain orosensory cues to predict the caloric consequences of intake may contribute to overeating and excessive weight gain. The results of two preliminary studies with rats are consistent with this hypothesis. In one study, the ability of rat pups to regulate their caloric intake after consuming a novel, high-calorie, sweet food was disrupted if they had received prior training with sweet tastes that failed to predict the caloric consequences of eating. Another study found that altering the normal predictive relationship between food viscosity and calories led to increased body weight in adult rats. Dietary factors that degrade the relationship between sweet tastes, food viscosity and calories may contribute to overeating and weight gain.